Just about this time last year Google went on the record to say that their new Chrome operating system would be ready for the public in about year. Looks like the time is almost up, and the reports are coming out of Taiwan that the first Chrome OS based netbook will be out by the end of the month. Not only will it be the first to come loaded with Chrome OS, but it will be a Google branded netbook, much like their branded Nexus One smartphone. The Google Chrome notebook is being manufactured by Inventec, and will be a ARM-based system. The Taiwanese paper DigiTimes is reporting that Inventec will have 60,000-70,000 units of the Google notebook ready initial shipment. 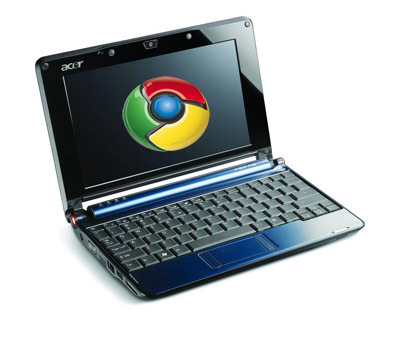 If you’re waiting for a name brand, PC makers Acer and HP are expected to release their Chrome OS netbooks in December. The Google Chrome notebook will not be available at normal retailers, instead Google is expected to sell the notebook exclusively online, just as they did with the Nexus One. chrome os notebook Regarding the operating system itself, a source close to Google said this week that they are still on track to launch Chrome OS by the end of the year, as well as its Chrome app store. YouTube - Foreign Office Blogger - "My first week"
Sarah Russell shows us what goes on in her very begining week at the Blogger Office, which is the British Foreign Office and FCO Blogger. "New entrant to the British Foreign Office and FCO Blogger, Sarah Russell, shows us what goes on in her first week at the Foreign Office.